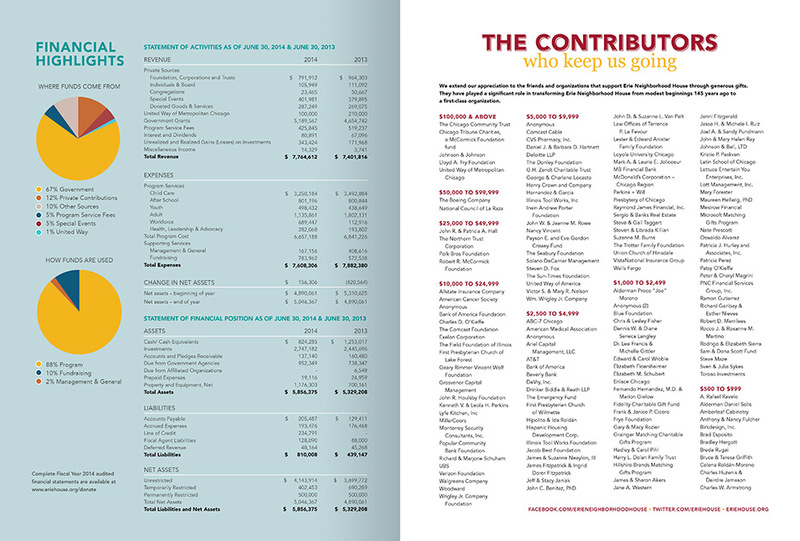 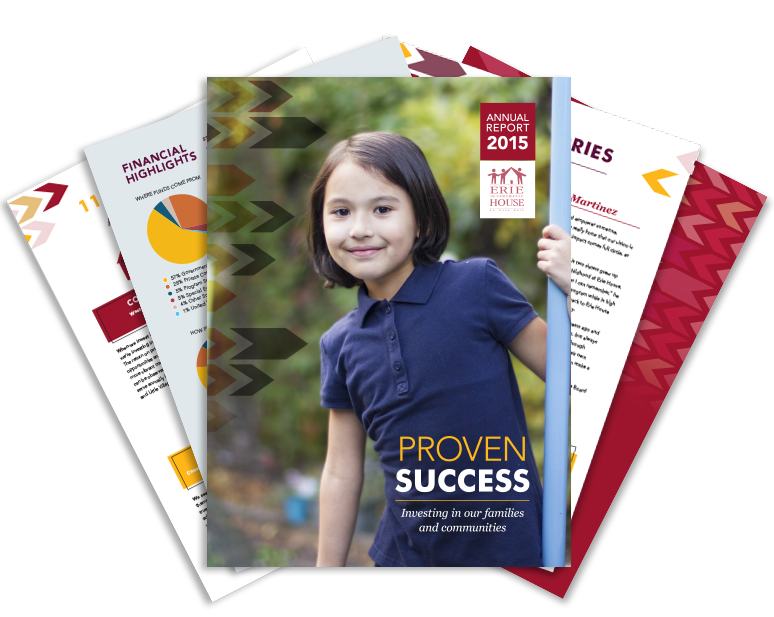 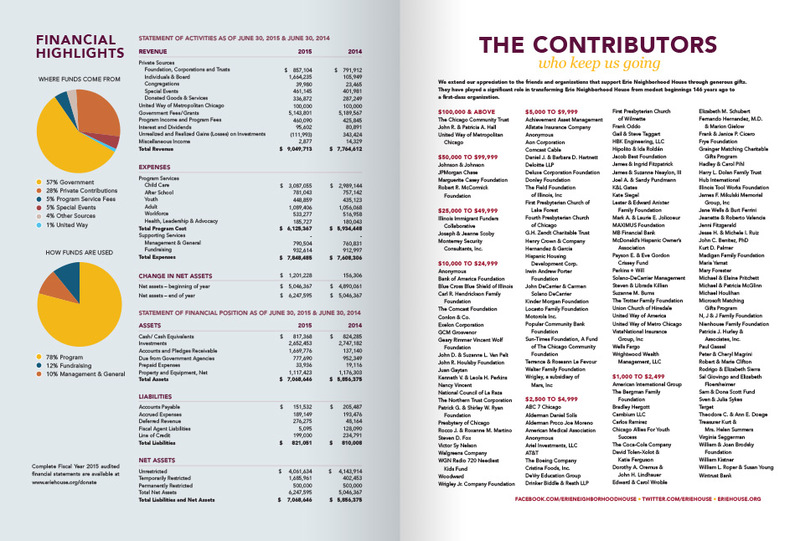 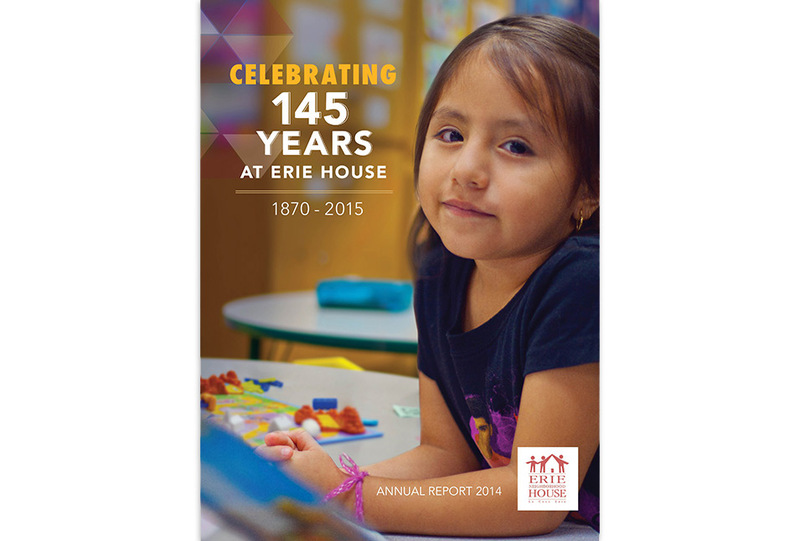 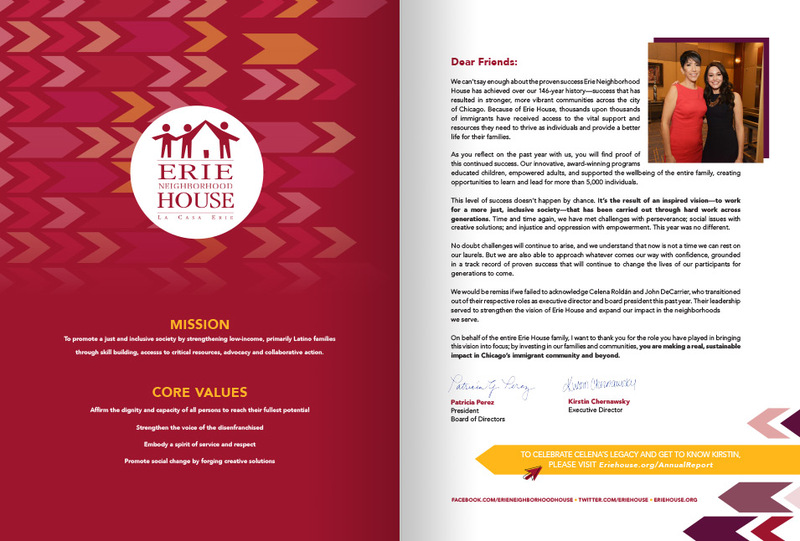 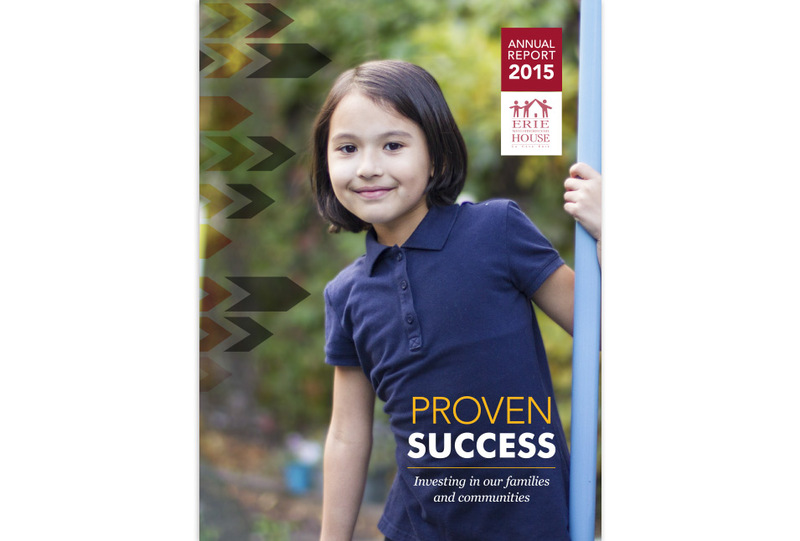 MMG was proud to work with Erie House to create its 2014 and 2015 Annual Reports and holiday ask companion piece. 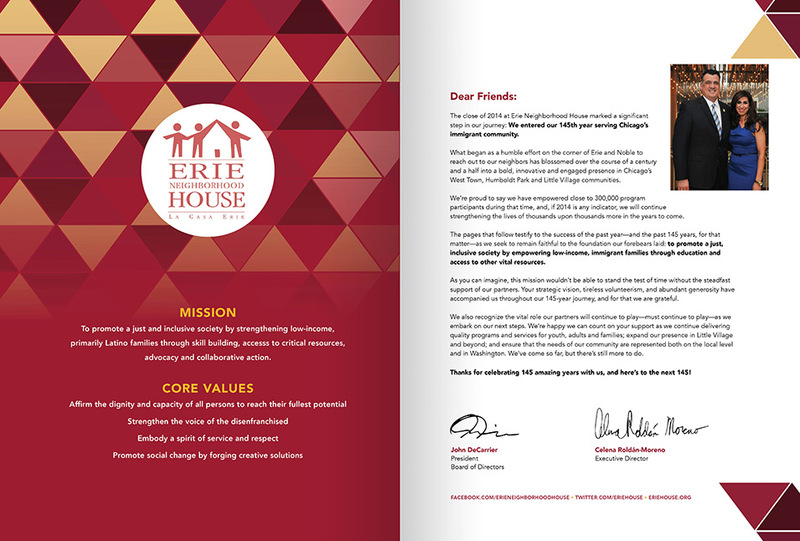 We contributed concepts, design, copywriting and photography. 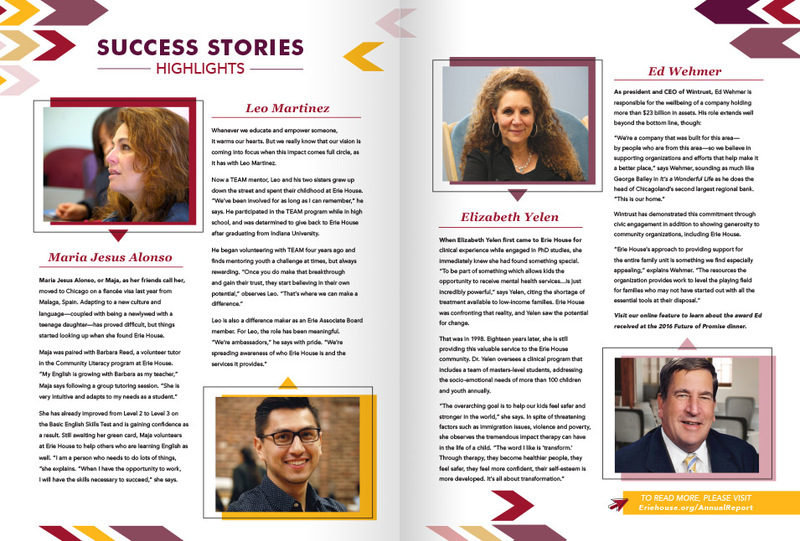 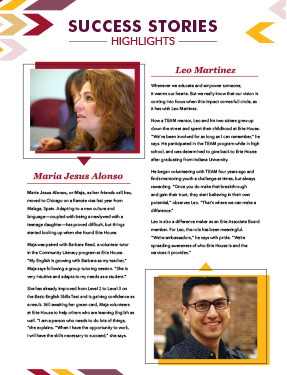 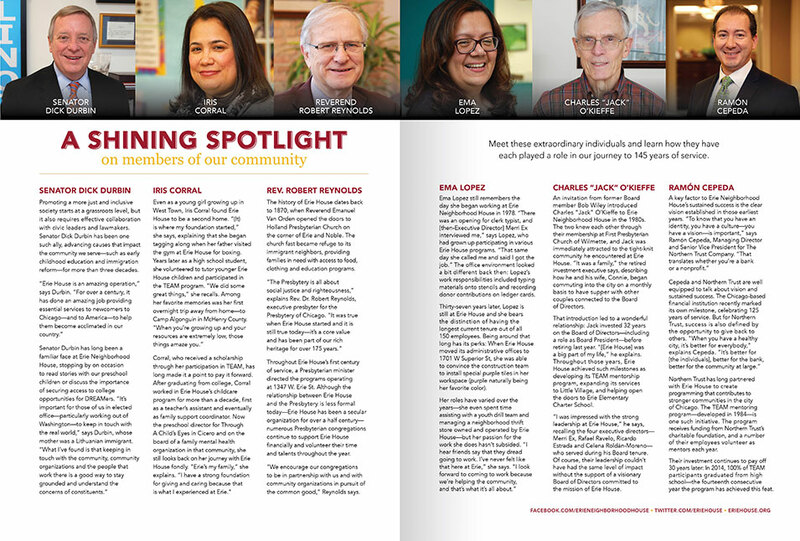 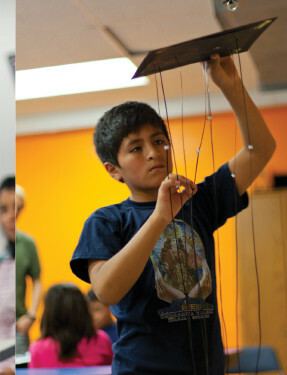 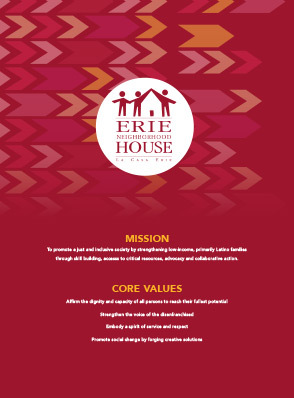 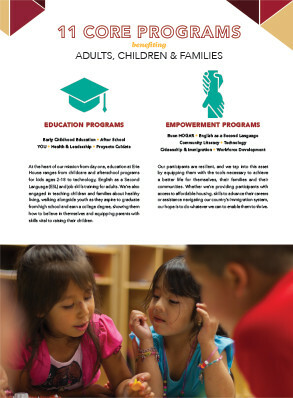 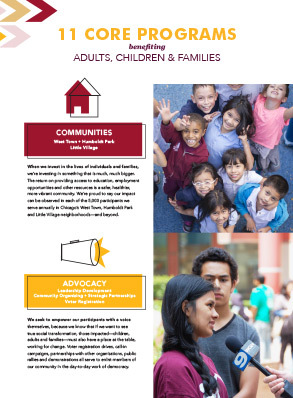 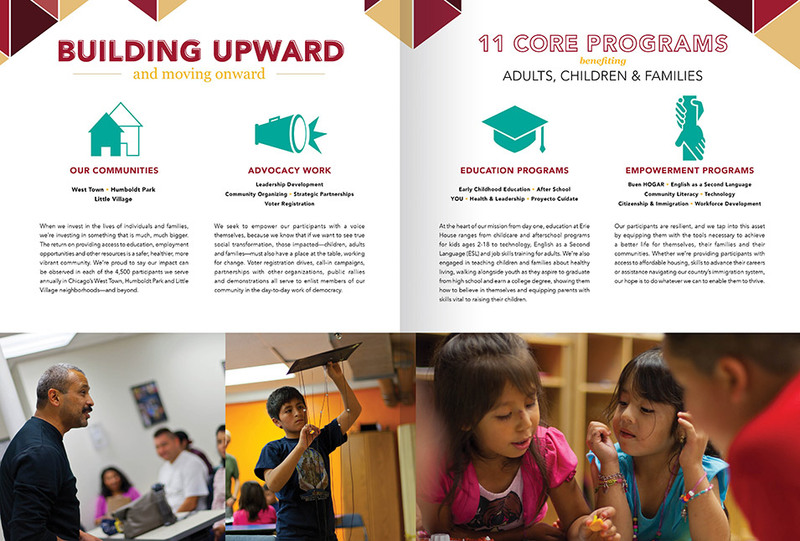 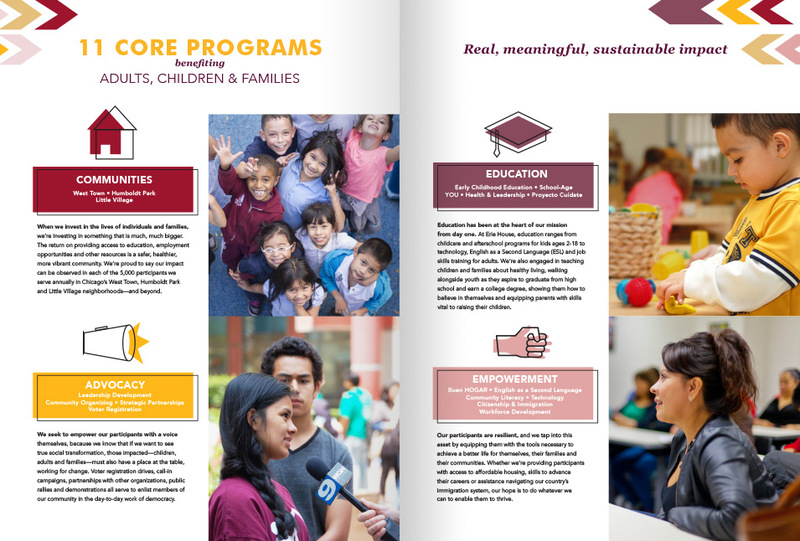 We developed an overall look and feel to showcase Erie House’s commitment to promoting a just and inclusive society by strengthening low-income, primarily Latino families through skill-building, access to critical resources, advocacy and collaboration. 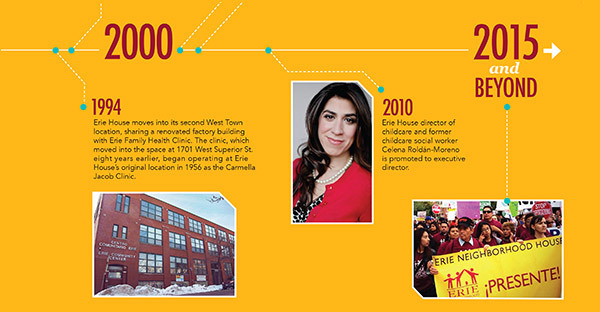 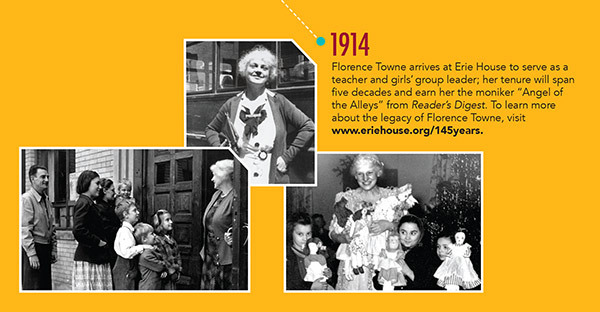 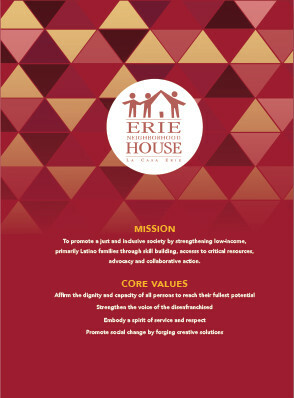 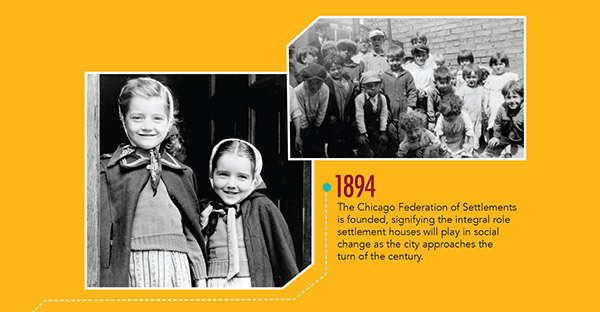 To celebrate Erie House’s 145th anniversary, we developed a historical timeline for the Annual Report.